Disclaimer: This book is the second in the Goddess Test trilogy. To read my review of the first book in the series, The Goddess Test, click here. 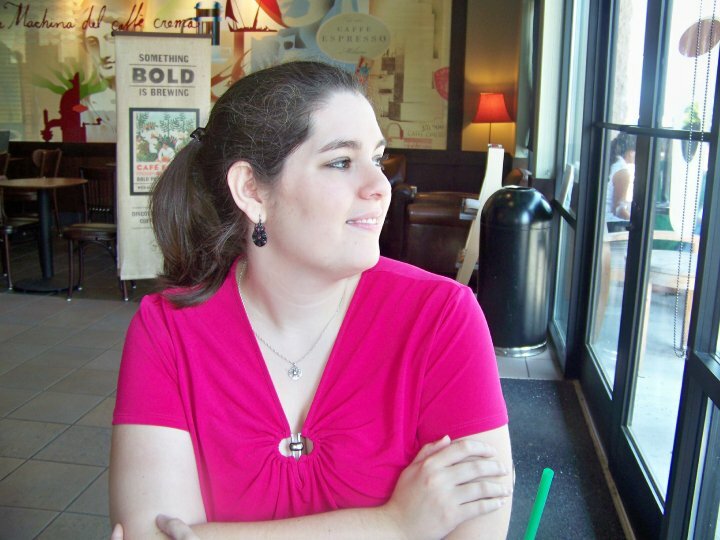 Goodreads Summary: KATE WINTERS HAS WON IMMORTALITY. Some sophomore novels have a tendency to fall flat after the first book in the series, but that is not the case with Goddess Interrupted. If anything, this novel is even better than the first, complete with more action, more insight into the characters, and an engrossing story. Goddess Interrupted begins six months after The Goddess Test. Kate has been tested, but it seems that the tests were nothing compared to what is waiting for her now. Her homecoming is not what she expected. Henry seems less than enthusiastic to see her again, and then her coronation is interrupted by none other than the King of the Titans. After he abducts Henry, Kate is determined to save him. With the help of James and Ava, she begins a journey through the Underworld to find Henry. To help her - or perhaps haunt her - she is also having visions of Henry and his imprisonment, each one only pushing her to search harder. But with her life in danger and no concrete plan of how to save Henry, Kate has to turn to the one person she never wanted to see: Persephone. But Persephone's presence will do more than help Kate on her quest; it will send Kate on a quest for Henry's heart. Having recently read The Goddess Test, I was eager to dive into this book and see what else was in store for Kate. Now that I knew the characters and secrets from the first book, I found that I could really invest in them and in the world Aimee Carter created. Not only does this book have more action than The Goddess Test, but also it has so much more emotion. The King of the Titans is certainly a force to be reckoned with, and his power is pervasive throughout the novel. The battles Kate and the others face with him are mental as well as physical, making for an exciting read. In addition to this, the relationship between Kate and Henry is truly put to the test. I have to admit that Henry frustrated me to no end for most of the novel, and my heart broke for Kate. Henry's dark, brooding nature was intriguing in the first book, but now it was almost off-putting. Kate's emotions throughout this were honest and real, and I suffered along with her. In addition to the King of the Titans, the other new character we spend a lot of time with is Persephone. I had mixed feelings about her, but by the end of the book I really came to like her. Speaking of the ending...I think Aimee Carter must enjoy being evil. I can't believe there is another year to wait after that last page! Kate and all of the gods are preparing for an epic battle, and I am eager to see how it plays out. Goddess Interrupted was everything I could have wanted in a sequel and more. From start to finish I couldn't put the book down. I am looking forward to reading The Goddess Legacy, a collection of five novellas about the gods, and The Goddess Inheritance! 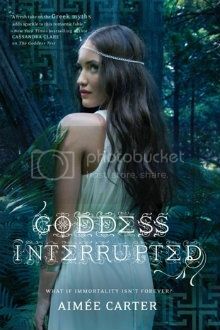 I am very excited to have one copy of Goddess Interrupted to give away! Please note that the book will be coming directly from the publisher; please allow ample time for the book to arrive if you win. This contest will close on Tuesday, June 12 at 12:01 AM. this is one series I have been dying to read!! Thanks for the review Twin!! I have heard so many great things about this series. I love Greek mythology, so this will surely be a favorite. Thanks for the review and giveaway! Again I completely agree with your review! I love this series, however the ending to this book has made the wait for Goddess Inherited so much tougher! Can't wait to read the next book!